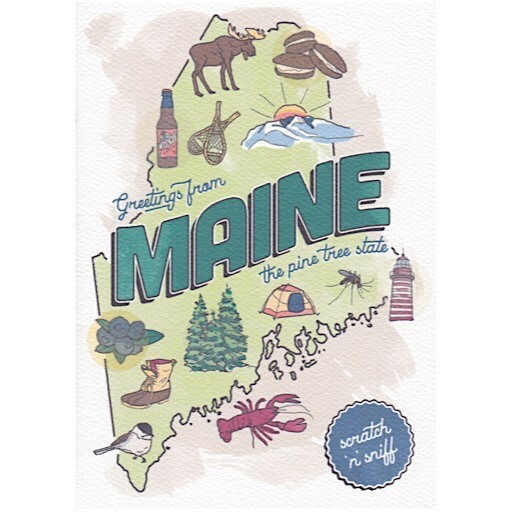 Scratch ’n sniff your way around Maine! This wicked cool card features iconic hand-drawn illustrations. Five scents evoke aromas of the state's white pines, wild blueberry, chocolate whoopie pies, peppermint Quoddy Head Light and Moxie!